When I give presentations on marketing honey and other products from the hive, I use the story of Burt’s Bees as an example of making money from bees, and the importance of marketing. While being as successful as Burt Shavitz and Roxanne Quimby does not happen every day. 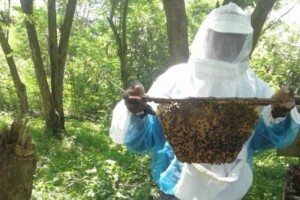 I have known a number of beekeepers who turned their hobby into a nice side income. Burt Shavitz, the Burt behind Burt’s Bees who co-founded the natural cosmetics company, died Sunday. He was 80. A spokeswoman for Burt’s Bees said in an emailed statement Shavtiz died of respiratory complications in Bangor, Maine, surrounded by family and friends. Shavitz is known for being a character from the backwoods of Maine, but he grew up around New York, served in the Army in Germany and shot photos for Time-Life before leaving the city. He was a hippie making a living by selling honey when his life was altered by a chance encounter with a hitchhiking Roxanne Quimby. See below link for the rest of the AP article. Posted on June 22, 2015 | Comments Off on Beekeepers aiding beekeepers! I have a longtime former Kentucky beekeeping friend, Toni Downs, who is traveling to Uganda later this year to assist beekeepers there. Many of you may know Toni, perhaps through HAS, or EAS, she has been active with both for many years. I know the help that beekeepers can give to other beekeepers, and I applaud Toni in giving her time, resources, and effort to make this trip. As many of you may know, in 2012 I made a similar trip to Bangladesh. However, my trip was funded by the U.S. government, I was a U.S. Aid volunteer. Toni is making this trip without government aid, or help from a large foundation. Please take the time to read the below note about Toni’s upcoming trip, and if you can, give her some assistance. Donations can be made through gofundme, or by contacting Toni directly. As they always say, any donation helps. If you go to the gofundme website, you will see that I am supporting her beyond passing on this message to you. Comments Off on Beekeepers aiding beekeepers! Due to the interest of the proposal of a third session of our Beyond Beginning Beekeeping course, we will hold this session on June 27th, at the University of Kentucky Ecological Research Center in Lexington. Cick here to download information about the course, including location, start time, etc. You must pre-register, there will be no at the door registration, but there is still space available. to guarantee a spot in the class you need to email me, request a registration form, complete the form, and return it, along with payment. This is an intermediate level beekeeping course, not a beginning course. Later in the fall, November or December, we will commence beginning beekeeping courses. Beekeeping classes by the University of Kentucky’s Ecological Research and Education Center (EREC) and Phil Craft. 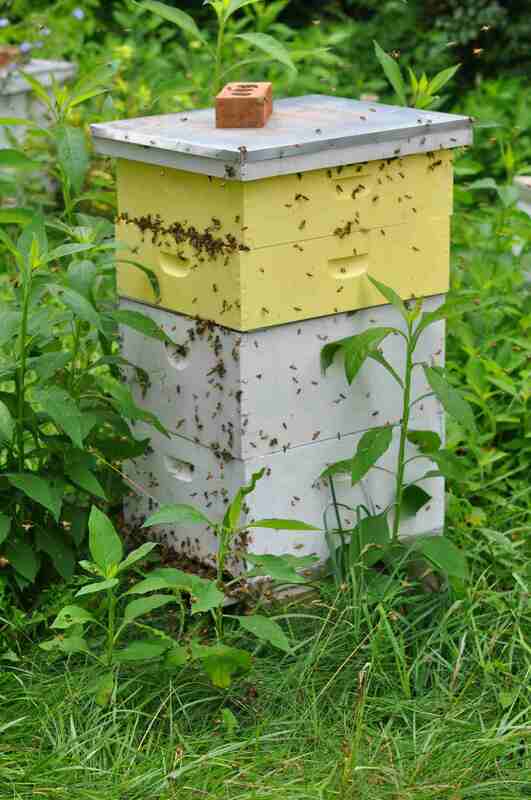 Posted on February 23, 2015 | Comments Off on Beekeeping classes by the University of Kentucky’s Ecological Research and Education Center (EREC) and Phil Craft. I’m working with the University of Kentucky’s Ecological Research and Education Center to conduct beekeeping courses this spring. Classes will be held in Lexington. I’ll be doing all of the instruction, and class sizes will be kept small (40 maximum). On Saturday (February 24th), we’ll have an all-day beginners’ course, and in April an advanced course. There is still room in the beginner course for additional participants. See: Course information. All those attending the beginner class will receive a free copy of the beginner beekeeping primer First Lessons in Beekeeping, by Dr. Keith Delaplane, and will have an opportunity to purchase nucs or packages of bees at a discount. Additional information regarding the advance class will be available soon. Let me know if you wish to receive more information on the advanced course as it becomes available. Comments Off on Beekeeping classes by the University of Kentucky’s Ecological Research and Education Center (EREC) and Phil Craft. Need I say more. Not spring yet, maybe in a couple of weeks? Checked hives today – they are ALL alive! Posted on February 11, 2015 | Comments Off on Checked hives today – they are ALL alive! It was warm enough today to take the covers, and inner covers, off my hives today, and to observe what it looks like inside my hives. I call this popping lids, the earliest spring beekeeping activity I do. Yeah, i know, it is not really spring, but it was about 50 ͦf, and bees were flying to my bee water supply. I DID NOt pull frames, this check is only to see what hives are alive, and to get an idea of colony strength. I do this by noting the size of the cluster, in the top box. Typically, this time of year, the bees have moved into the top box. All colonies reported to be alive and well! No winter losses, so far, but they looked OK. 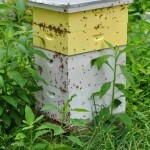 Sometimes we can be fooled as to whether a colony is alive or not by bees flying from the hive. I ask beekeepers: are they flying “in and out”, or “out and back in”? There is a difference. By observing the cluster, I know my girls are all flying out and back in. I also placed a winter patty, which I had purchased from the local Dadant branch, on the top bars of the op box. This is similar to bee candy, and will give them a boost, if food stores are low. 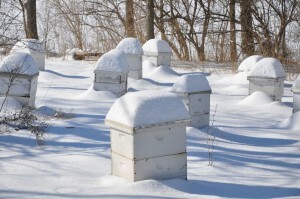 Finally, I warn new beekeepers about opening hives and pulling frames very early in the spring. There is the danger of disturbing the cluster, and little to learn. Hold off on pulling frames until we get extended periods of above 60 ͦ F weather. It will come, I hope soon. Comments Off on Checked hives today – they are ALL alive!